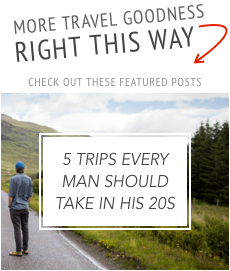 Whether your call it a duffle bag or a weekend bag, every man needs a practical, strong and style travel bag to carry his clothing and gear during trips that aren’t suitable for a rolling suitcase. 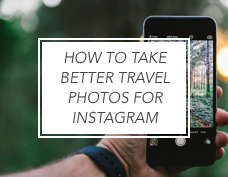 To make sure you’re prepared and look good for your next trip, I’ve curated this list the best weekend travel bags that I myself do and/or want to travel with. The selection ranges in style and price, so you’re bound to find the right bag for you or at least be pointed in the right direction. 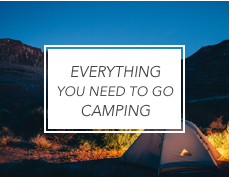 Remember, the better prepared you are the better you’ll feel, and the better you feel the more you’ll enjoy your adventure. 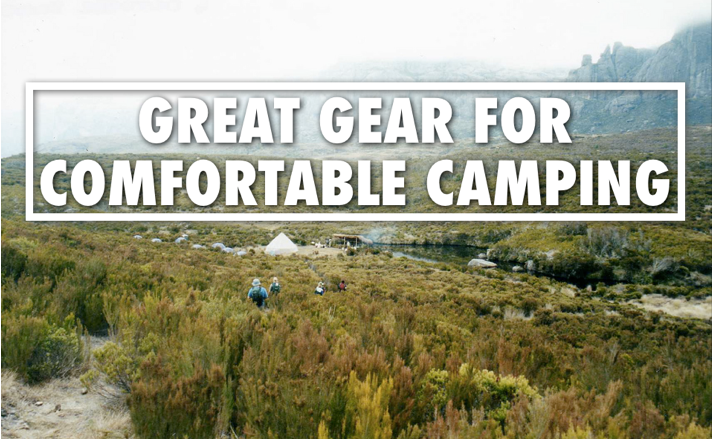 Patagonia is my go-to brand for high quality adventure gear that I know won’t let me down. 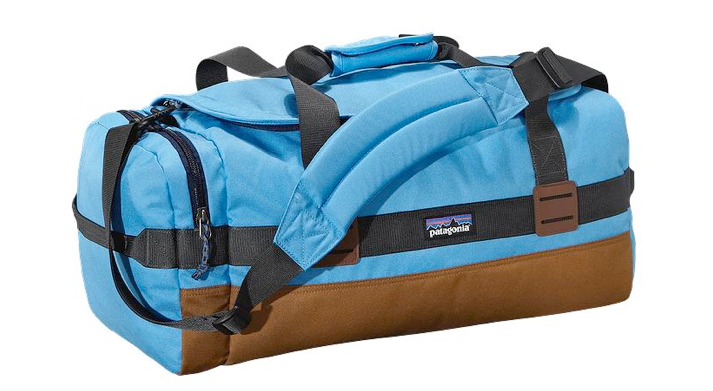 If your weekend travel needs call for a basic yet rugged and stylish duffle, check out Patagonia’s 30L Arbor Duffle. 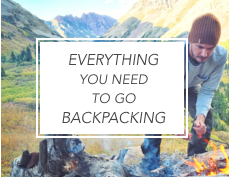 The bag has a durable water repellent finish, allowing it to withstand light rain and snow, a removable shoulder strap, an open wide central compartment and a padded base (which’ll help when putting you bag down on hard, rough surfaces). 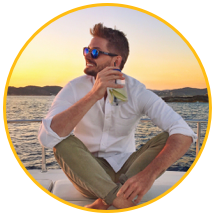 Named after the founder’s sons, Owen & Fred set out to create a quality bag at an affordable price…and they succeeded. 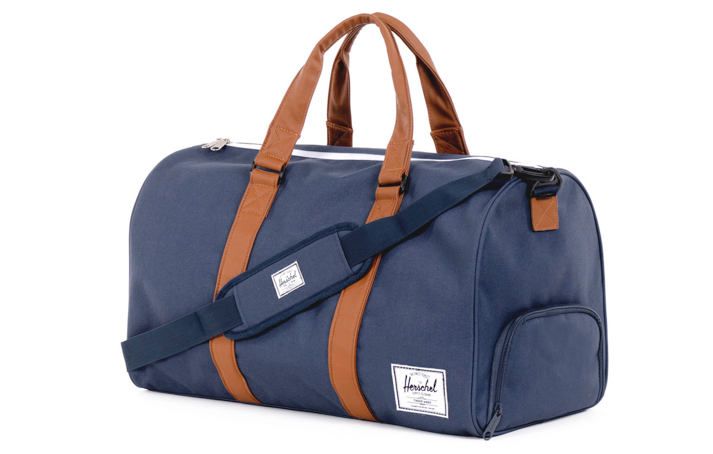 At $96 the “Work Hard Play Hard” duffle, named for the message printed on the inside of the bag, is made of nylon and canvas with a leather handle accent. 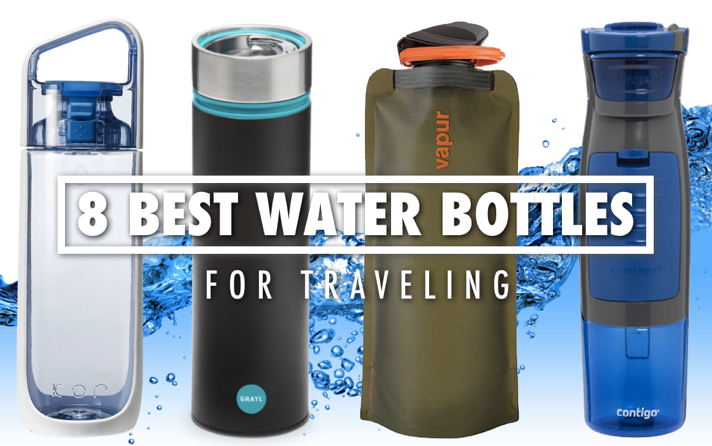 It’s also water repellent, made in America and comes in three different colors. 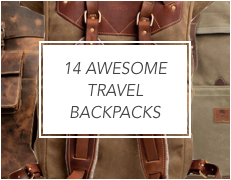 Everyone has seen a Hershel Supply Co. bag, whether it’s one of their famous backpacks or one of their duffles. 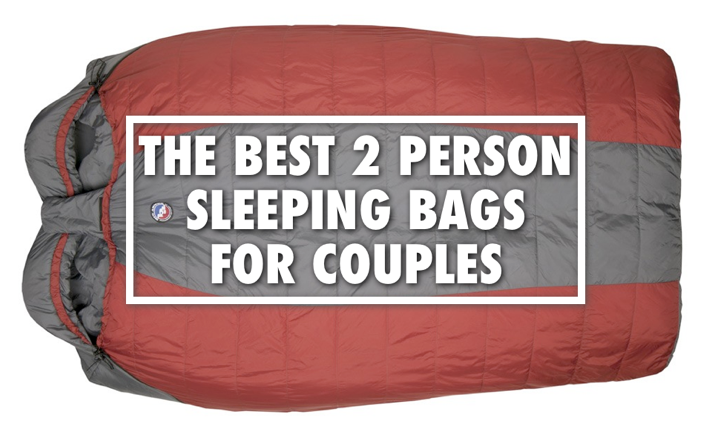 If you’re looking for something simple that won’t break the bank, check out their NovelDuffle. 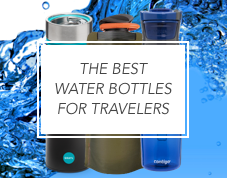 It comes in a bunch of colors (including camouflage) so you’ll likely find one to suit your taste. I like simplicity, in life and in most of the things that I buy. That’s why I like Joshu + Vella’s Wax Duffle. Handmade in San Franisco from thick waxed canvas, tanned leather, cotton webbing and solid copper rivets, this bags gives you everything you need and none of the bulk you don’t. In addition to navy, it also comes in black and tan. Meaning Arctic Fox in Swedish, Fjällräven has a long history of innovating in the world of outdoor gear having pioneered wood-framed backpacks in the 1950s and 60s. Today, In addition to high tech tents, sleeping bags and clothing, Fjällräven is know for their Duffle bags, including the Duffle No. 6. The Duffle No. 6 comes in 3 sizes, the 50L small ($200), the 70L medium ($250), and the 110L large ($300) — and each is available in 3 different colors. 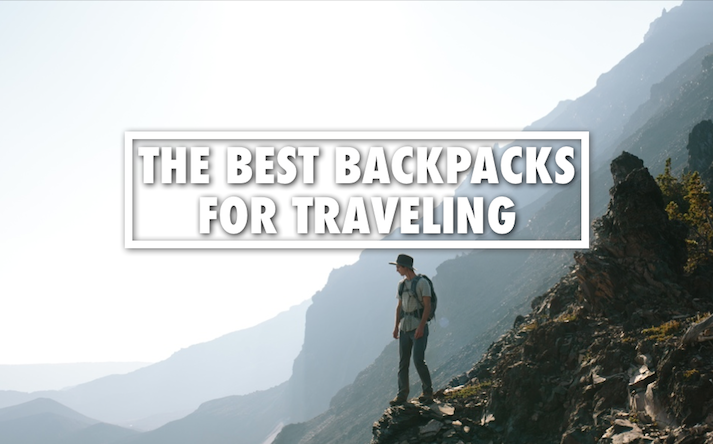 In addition to the bag’s rugged good looks and durable construction, it also features two hidden straps that allow you to wear it like a backpack. 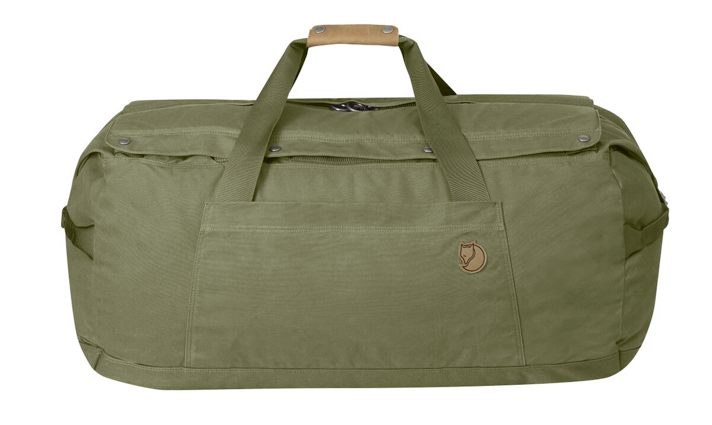 For a smaller more streamlined bag, check out Fjällräven’s Duffle No. 4. 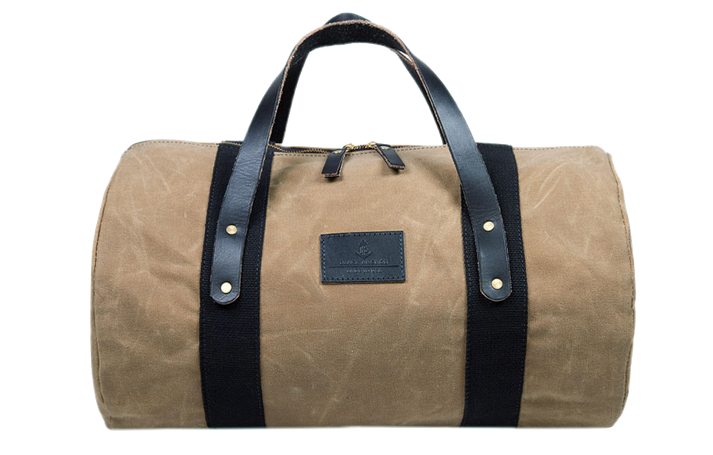 Handmade in Tacoma, Washington as a collaboration between a group of young artists, The Black Anchor Workshop Overnighter duffle bag is made of waxed canvas, U.S English bridle leather and brass hardware. It’s a simple yet well-constructed bag that was built to stand up to nature and the test of time. 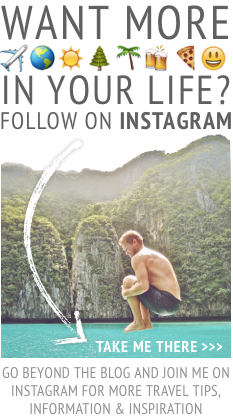 Founded in 1856 in Vermont, Orvis specializes in high-end fly fishing, hunting and sporting goods. 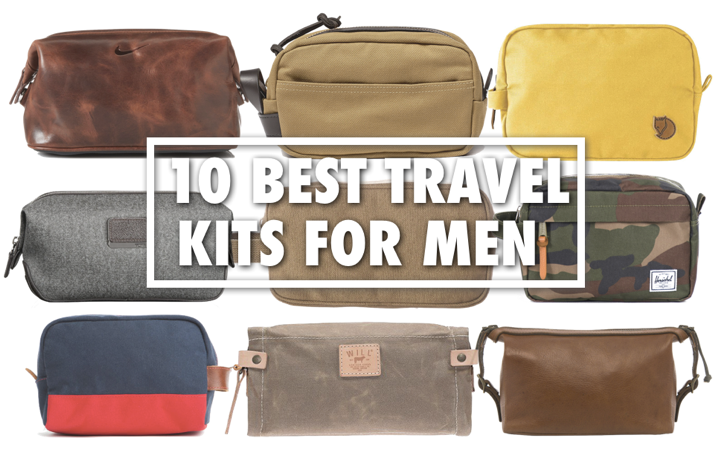 That being said, it’s hard to go wrong with one of their well-made, masculine duffle bags. 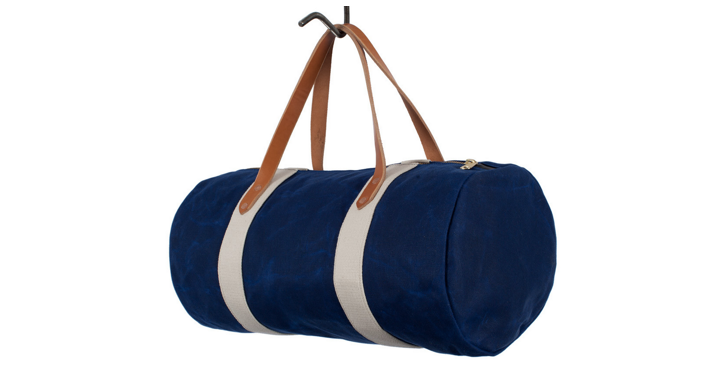 The Gokey Waxhide & Navy Canvas Duffle is made out of heavyweight 18-oz. cotton canvas and full-grain American-tanned leather. 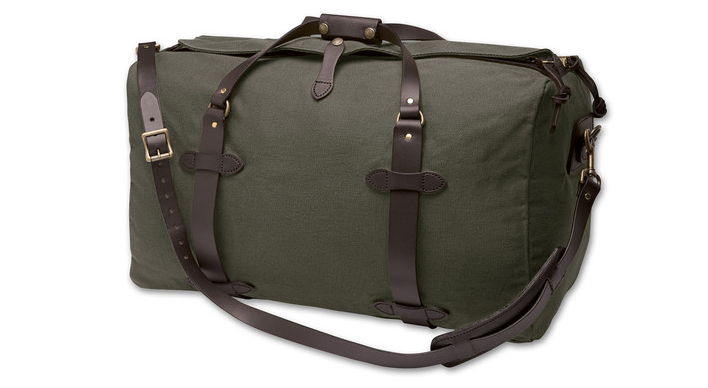 Filson is the granddaddy of duffle bags. Since 1897, Filson has been making quality gear for men that’s rugged enough to take into the wilderness yet stylish enough to carry on an upscale weekend vacation. 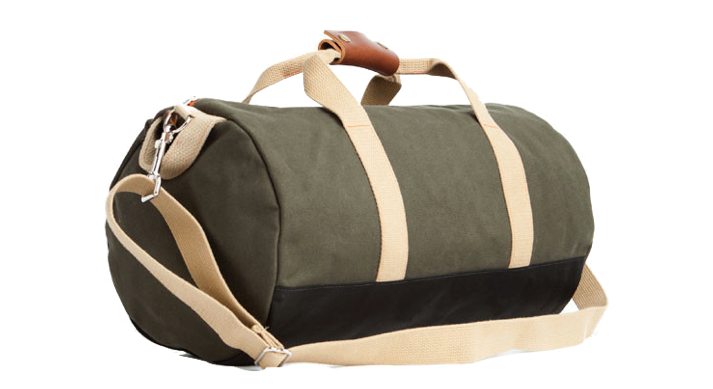 Made in the USA, this weekender which Filson calls “indestructible,” comes in four sizes — small, medium (shown here), large and extra large. 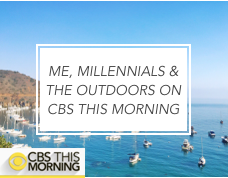 It also comes in four colors. Whichever size and color you choose, know you’re buying one of, if not the most classic duffle there is (and that’s a very good thing). 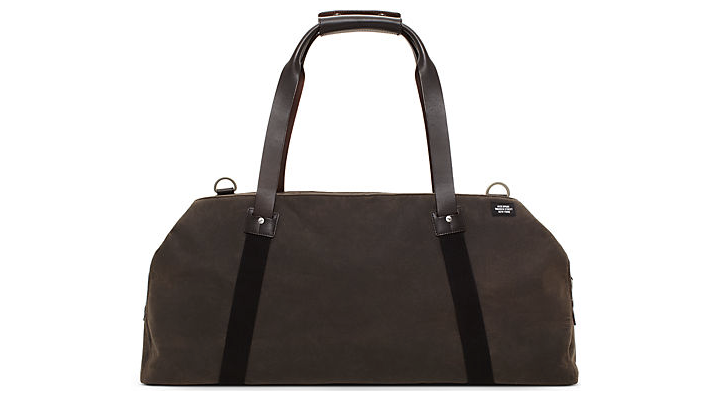 For the guy looking for a more sleek and refined weekend bag, check out Jack Spade’s Waxware Soft Duffle. As Jack Spade describes it, “Waxwear is a fine cotton canvas soaked in a centuries old paraffin formula originally developed for sailcloth.” You’ll want to reserve this bag for your finer weekend getaways. 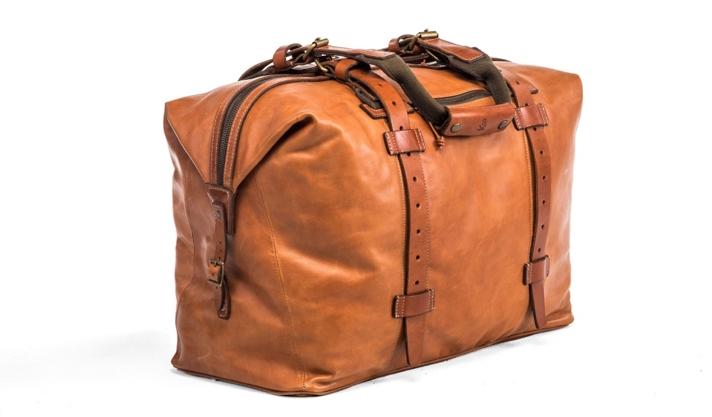 Satchel & Page makes incredible, vintage-inspired leather bags. Seriously, people will think your bag must have been handed down to you from your grandfather. And that’s kind of the point as the collection was inspired by the founder’s grandfather’s 70-year-old World War II map case. 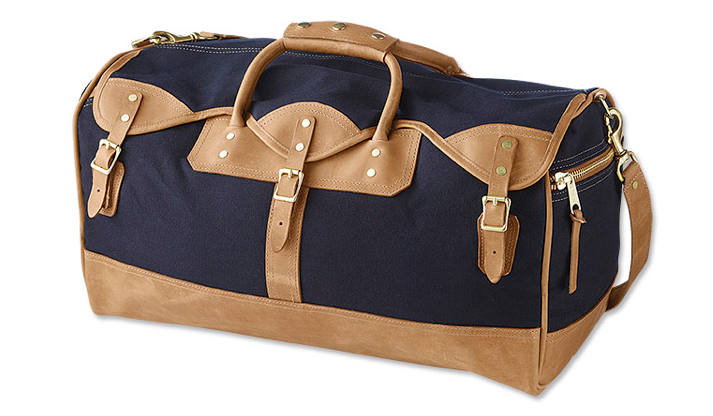 In addition to the larger Gladstone, check out their Pilot’s Bag which is also perfect for weekend getaways. Tanner Goods really knows what they’re doing when it comes to making bags and that fact is epitomized in their Nomad Duffle. Made of waxed canvas, premium wool felt, leather, solid brass rivets, button studs and buckles, this incredibly good looking bag can be carried by hand or worn like a backpack. 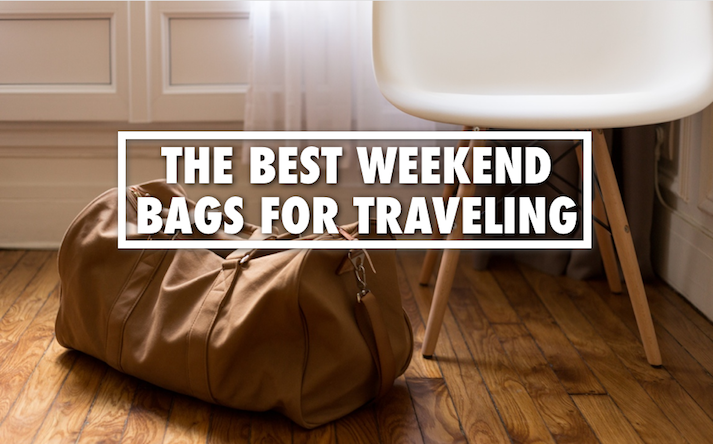 If you want to impress and want a weekend bag that’ll last you forever, this is it. The first time I saw this weekend bag, I think I finally understood the crazed feelings some women have towards fancy purses. Made in Downtown Los Angeles by designer Stephen Kenn, the Travel Duffle is made from vegetable tanned leather, and as Kenn describes it, “crafted in reverse, exposing the olive drab flesh side and keeping the smooth grain side of the leather for the interior.” In addition to his Encounter Collection (of which the Travel Duffle is a part of), Kenn also makes the most masculine furniture I’ve ever seen. That Stephen Kenn bag is amazing! I think I know what to get my husband for his birthday now! Your husband would be a lucky guy. It’s a really nice bag. Are the bags listed in order of “greatness” or just randomly ordered? I’ve had my eyes on the Fjallraven due to its ability to double as a backpack on the back. However I afraid the straps would easily tear – any views on this? Hey Jenni. The bags are randomly ordered (they are all really great). 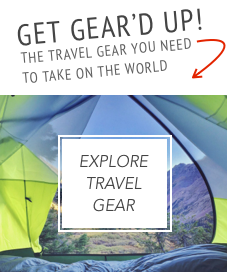 Fjallraven products are very sturdy, so I wouldn’t worry too much about the straps tearing. 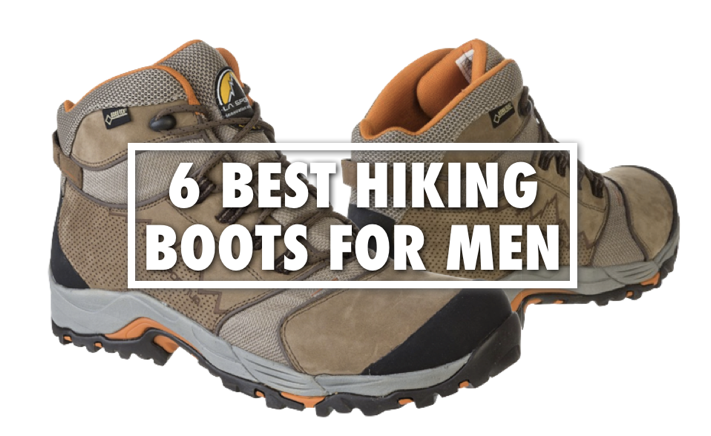 Plus, they have a pretty good warranty which you can learn more about here: http://www.fjallraven.us/blogs/customer-service.